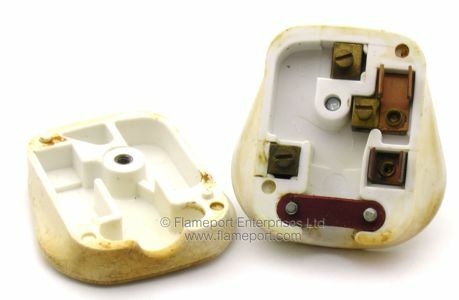 A hard, brittle plastic plug of the type which shatters to pieces when dropped. 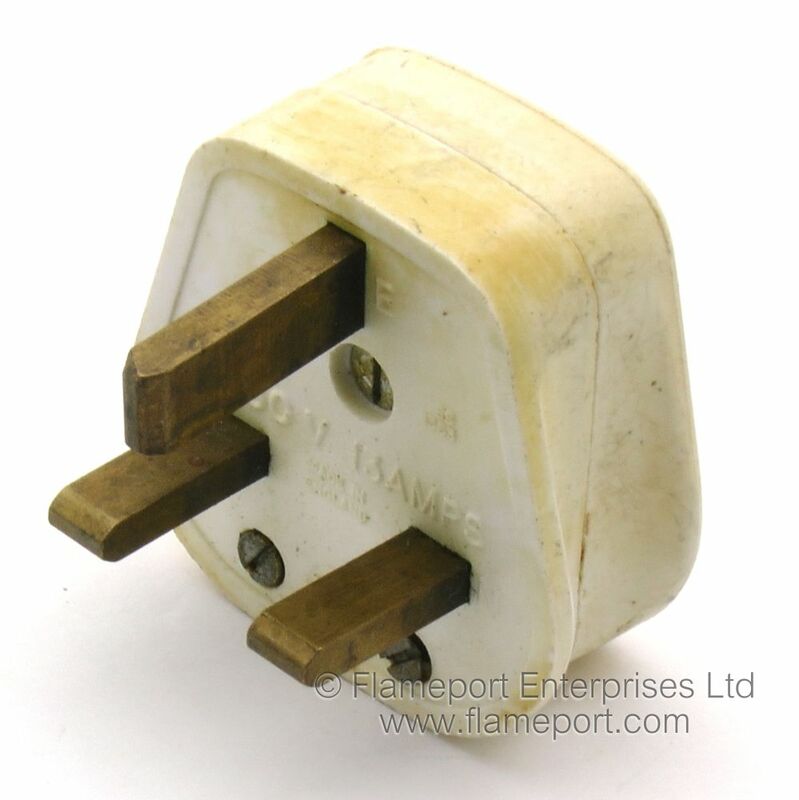 The lid of this plug only has the word 'FUSED'. Originally this was white, the ye:llow colour is due to greasy dirt. Pins are unsleeved. 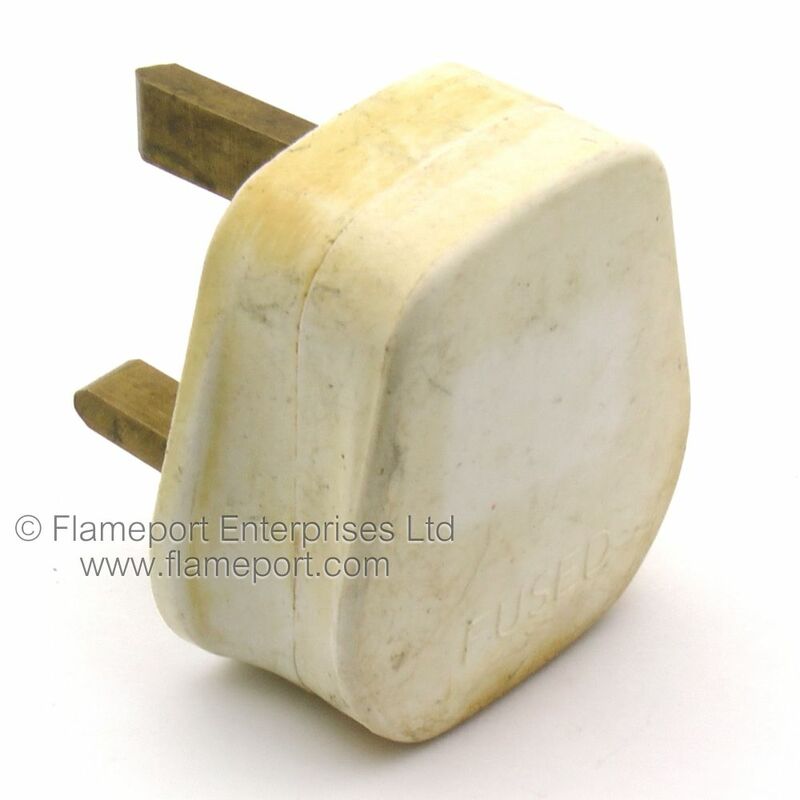 The plug is made from a hard plastic, of the type which will fracture if the plug is dropped onto a hard floor. 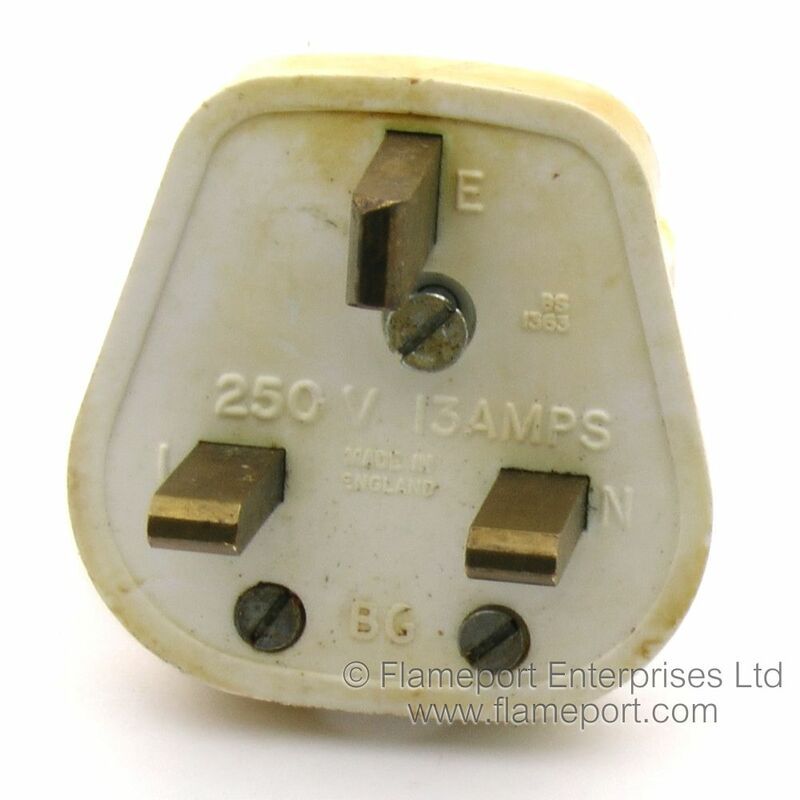 The plug is held closed with a single screw in the centre. Internally the three terminals are identified with L N and E letters only. The fuse is missing. The flex grip is a flat bar made from compressed fibre and is secured with two screws. The interior is white - which is the colour the outside of the plug was originally. 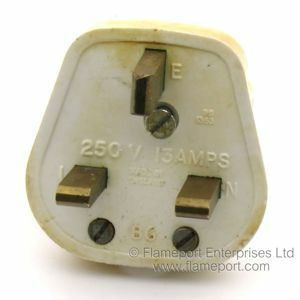 Each pin is identified with E, L or N. 250V 13 AMPS. Smaller text states BS1363 and MADE IN ENGLAND. The BG logo is positioned between the flex grip screws.